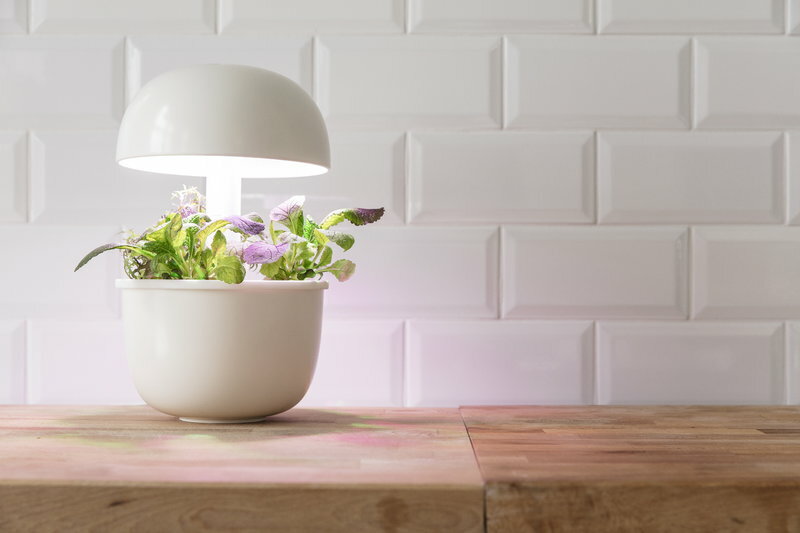 Smart Garden 3e by Plantui is an innovative, soil-free indoor gardening device. 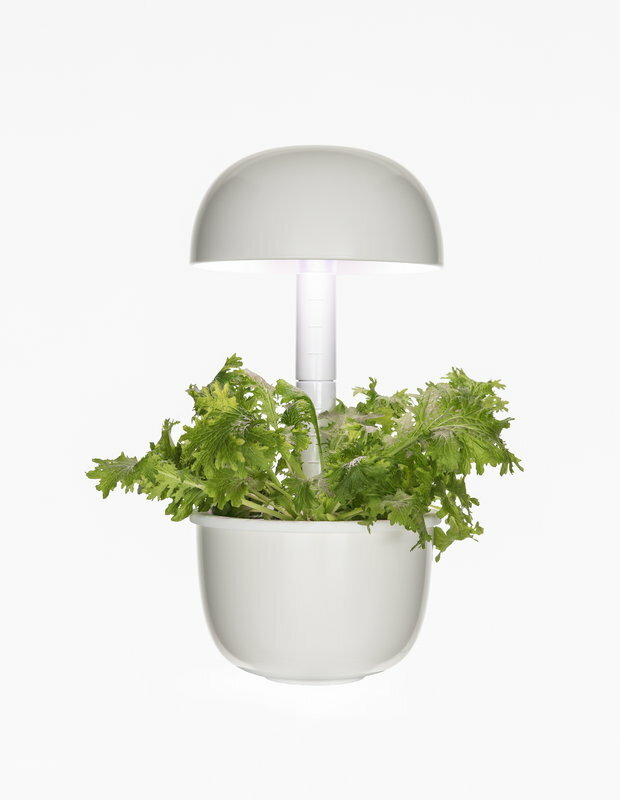 Now you can grow your own herbs and salads easily at home whole year round! 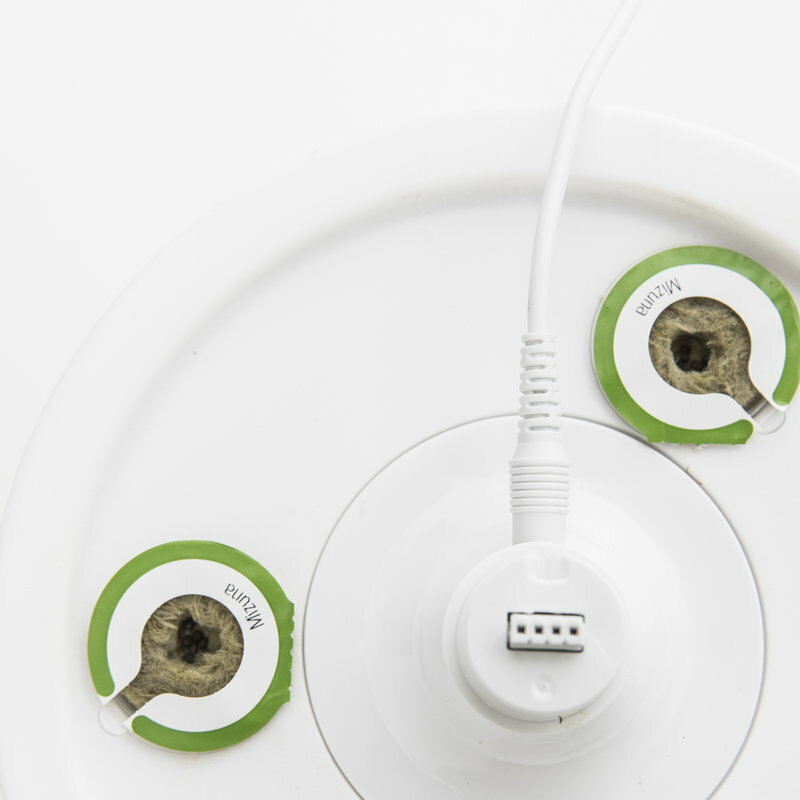 Smart Garden functions almost automatically: you only need to add water and nutrients and place Plantui’s own plant capsules to the device. Smart Garden is designed and manufactured in Finland by Plantui. The 9 high-end LED lights provide the best spectrums and intensity needed to create perfect germination and growth conditions for your greens. 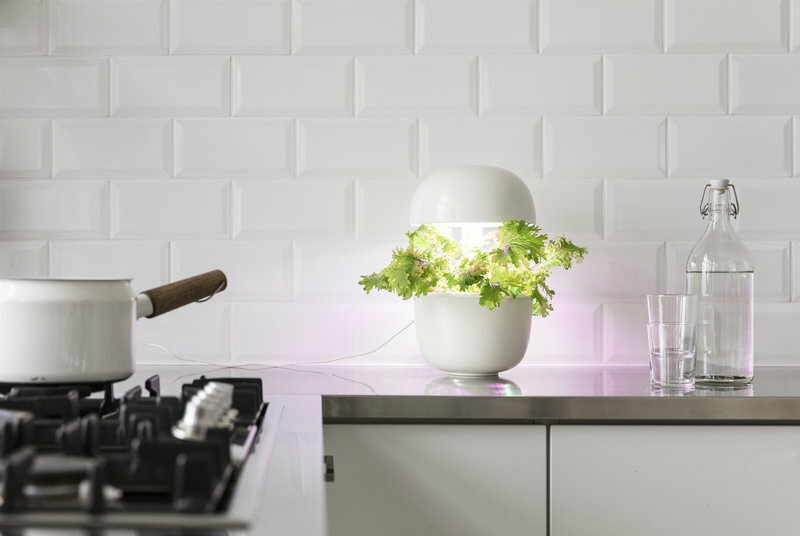 Smart Garden uses the same irrigation method as professional greenhouses: it quietly pumps water to the roots 0-7 times a day. 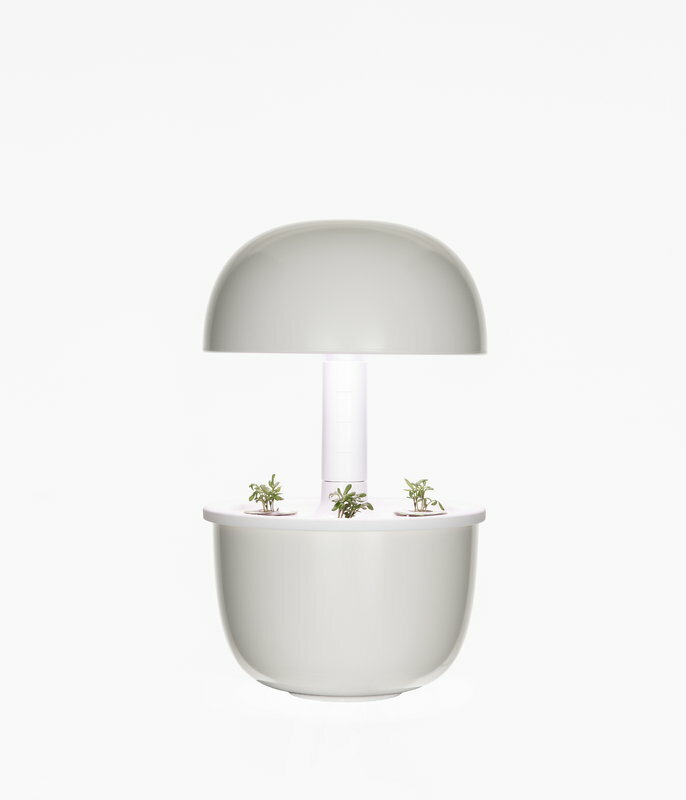 Note that the plants need rest just the same as we do – the innovative light unit has a timer that is easy to use and change just by touching the top of the device. 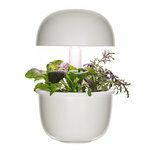 Choose your plants from Plantui’s wide selection of herbs, salad greens and edible flowers. The germination takes about two weeks and the plants are full grown in about 6 weeks. 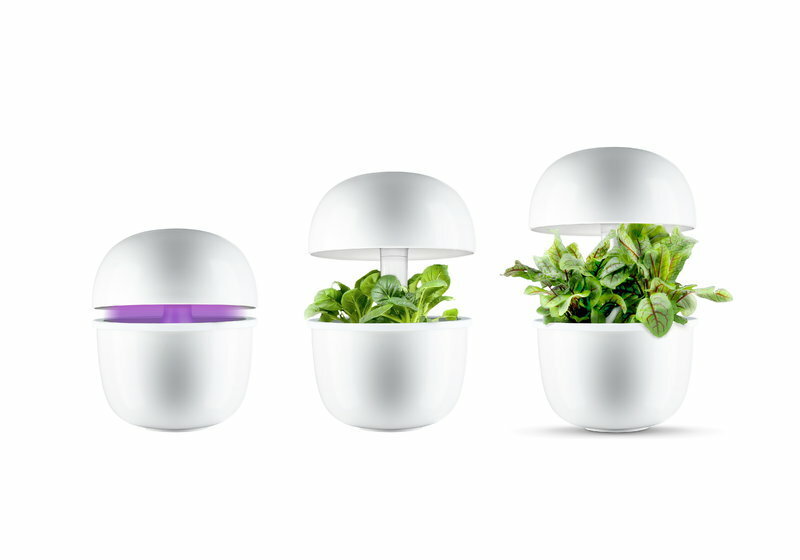 In one Smart Garden 3e, you can grow three plants at a time. You only need to add water and nutrient couple of times during one growth cycle. The bowl, water tray, plant tray and plant holders are all dishwasher safe. 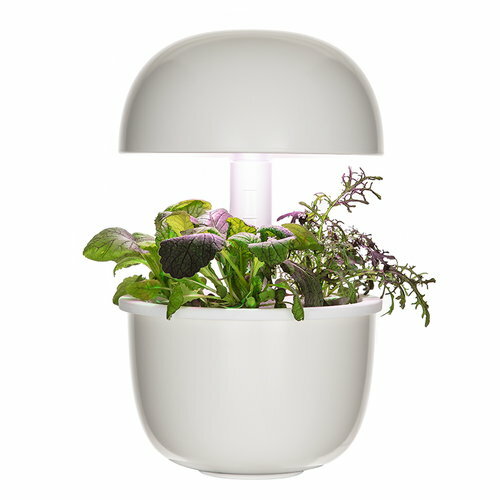 Smart Garden 3e has a suspendable light unit that can be hung over the plants by using the hook included in the package. 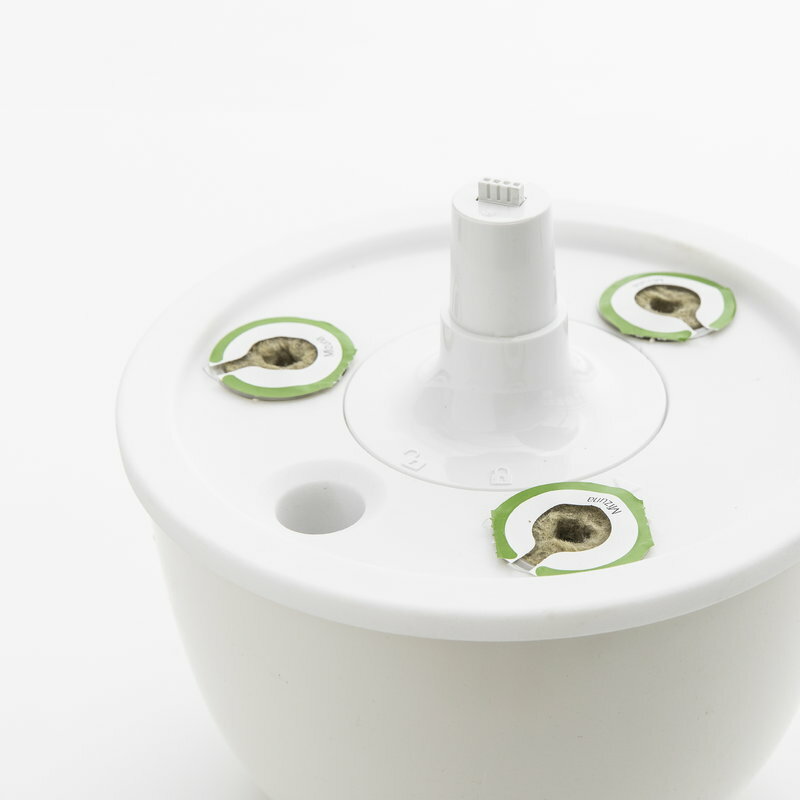 Low-voltage (12V) device. Consumes less than 30 kWh per year.